Old and new co-exist in perfect harmony at our Head Office based at 82 King Street, Manchester. 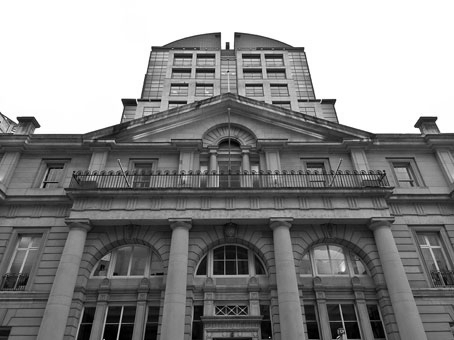 This landmark building combines a grade one listed former banking hall and a striking newly constructed modern tower. The banking hall is an architectural masterpiece, once the home of the Bank of England, the focal point for the city's financial and professional community and the commercial heart of the whole region. Distinctive design elements such as water features, glazed bridges and the tall stone portal that leads to the atrium are symbolic of the transition from the old to the new. This address is synonymous with quality, in the hub of the lively and ever-changing city business centre where the commercial buildings, shops and restaurants radiate excellence. Manchester is the UK's fifth-largest financial centre outside London, with more than 90,000 people employed in banking, finance and insurance. ISACO is proud to be part of such a successful business centre.